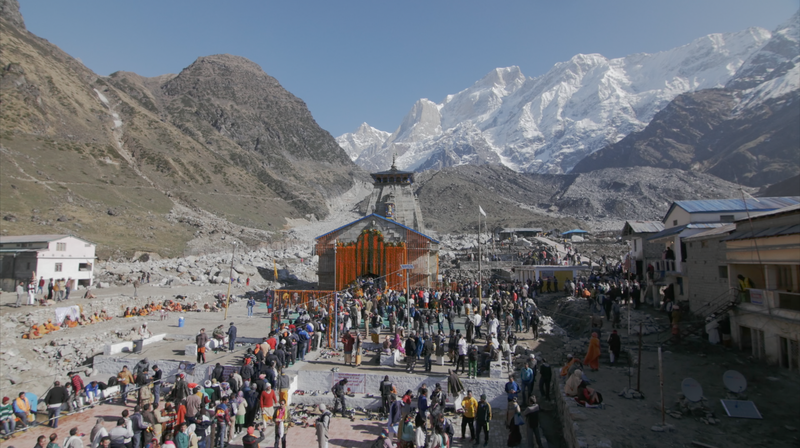 One of the holiest sites in the Himalayas is a microcosm of 21st century struggles. More than stunning scenery or spiritual traditions, it is the people I met who I remember. When we arrived at Kedarnath, a sacred pilgrimage site in the Indian Himalayas, I wasn’t prepared for the scene that faced me. In the five days since being granted my journalist visa, I had booked last-minute flights to Delhi, taken an overnight train north to the foothills, rattled through a winding 10-hour taxi up the Ganges, followed by the Alaknanda and Mandakini valleys, and hiked the final 17km ascent from the nearest town Gaurikund, before arriving at the temple. In those five days I’d had little time to think about anything beyond camera equipment and travel plans, tricking myself with a naive confidence that the journey there would be the hardest part of making the documentary. I was travelling with Vaibhav Kaul, a geographer from Delhi, whose research into disaster risk in the rapidly changing Himalayas had grabbed my attention as soon as we’d met in Sheffield the previous year. His enthusiasm and perseverance to produce a short documentary on the challenges faced by the community at Kedarnath had finally paid off with our arrival, the day before the temple opening ceremony on 9 May. It was as we ventured off the main path to find a hostel room that the reality of my surroundings first started to sink in: the metres of silt burying the ground floors of most of the buildings, the clumps of concrete and stone piled in every direction, the boarded windows, the sand coating the toilet seat and basin in the bathroom of the room we were shown to — on the first floor. It’s a surreal feeling to step into a scene you normally experience as a fleeting news broadcast from an unfortunate, unknown, distant place. But there I was, standing in the hostel where 3 years earlier, Harish the caretaker I’d just met had climbed onto the roof of the building to escape devastating floodwaters, and where thousands of others had lost their lives. In June 2013, torrential rain had already caused damaging flash floods. Then, on the morning of June 17th, a glacial lake above the settlement finally burst its natural wall and rushed down, tearing through houses, bridges and roads. Over the course of the next 12 days of intense filming and interviewing, every hour revealed something remarkable that deserved a film of its own. The strength and endurance of the Nepali porters, who carried everything from generators to water tanks to people up the mountain, made me feel decidedly feeble. 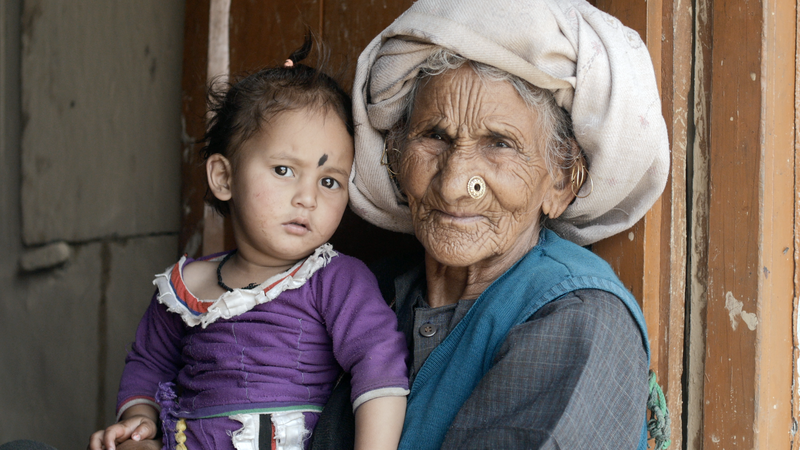 A lucky interview with a 90-year-old woman called Mohini proved that enthusiastic gestures and a cheeky smile do more than enough to bridge the language barrier between English and Garhwali. The incredible feats of engineering taking place begged the question, will new bridges and walls be strong enough in the future (as well as ‘how did that digger get up a mountain without a road?’… I didn’t know such big helicopters existed). Navigating the many sides of the situation proved even harder for me as a filmmaker than the voyage there, but fortunately Vaibhav’s detailed knowledge of the region helped to make sense of the complexity. Religion, business and politics are all jostling to have their say in this tangle of human activity, perched three thousand six hundred metres up a mountain whose summit towers over three thousand metres higher still. It’s a powerful reminder that the forces of nature can override the others at any time. Despite Kedarnath’s uniqueness, it shares a place with many other communities in the Himalayas and elsewhere in a larger story. As if to jog our memories to the reality unfolding in the wider world, on one of the last days of filming the news reported that India had recorded its hottest ever temperature of 51˚C in the state of Rajasthan. International news sites shared photos of people’s shoes getting sucked off by melting roads, wells where water had shrunk to puddles, and kids savouring the brief relief of bucket showers. 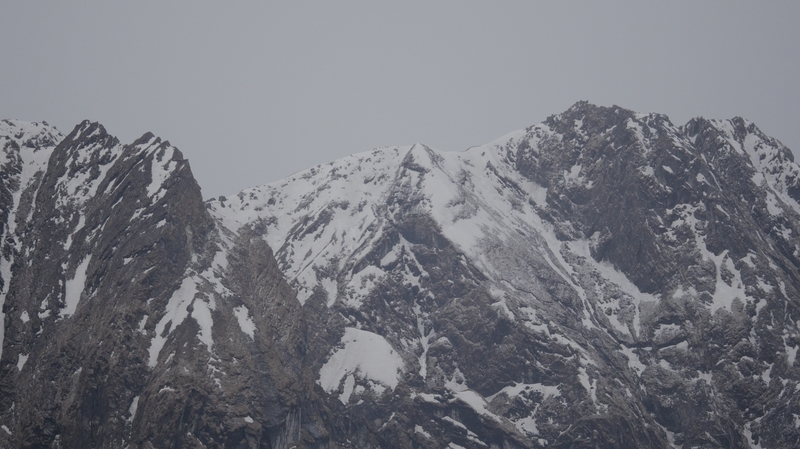 A friend I met soon after filming complained that his village had been suffering from water shortages for months, echoing the interviews from Kedarnath of shrinking glaciers and dwindling snowfall. “Now, even when it snows, it’s warm,” Mohini had exclaimed. Impressive statistics — monumental, in fact — but probably not so impressive that they will be in our heads in a day’s time when we’re busy at work, or even in 2 minutes when we’re back on Facebook. We’re not as worried as we know we should be. And failing that, we’re just not worried. There’s a host of deep-seated mental habits that make the idea of a global danger that threatens everyone, but is created by everyone, probably the hardest challenge imaginable for us to overcome. After all, there are important things going on in our skull-sized kingdoms: needs to meet, goals to pursue, life to enjoy. They help explain the troubling paradox to this self-declared Anthropocene we’re now living in: human ingenuity has given us unprecedented collective power — influencing every aspect of the Earth system — but at the same time it feels like we’re losing control of our collective behaviour. We have the power to change the world, but do we have the power to change ourselves? Some argue that new technologies and the right economic policies can nudge us to a sustainable way of living, without the need for concern by you or me. But when some of the world’s most powerful organisations exist for the purpose of burning fossil fuels, and when the lives of the world’s most powerful decision-makers are as different as could be from the lives of the majority of people their decisions affect, the system’s not designed to change around us without us changing first. Back in Kedarnath, the people I met again mirrored the bigger picture, with differing views and explanations of the 2013 disaster, and different priorities for the future. The situation now is far from a rosy picture, it’s still fraught with problems; but it’s undeniable that when lives were brutally disrupted by the floods three years ago, the people of Kedarnath were forced to think differently, to question their beliefs, and to work with others they thought different from themselves. Most of us will be fortunate enough not to have our lives turned upside down in the same way, spared the trauma of losing loved ones or homes we’ve toiled to build. But I hope that hearing others’ experiences, such as the stories from Kedarnath, can prick the bubble of our daily routines even if for a moment, and allow our imagination to seep beyond the screen. How is life in Kedarnath different from yours? How is it the same? How does it really feel to see a glacier disappear? And if any of us are lucky enough to live as long as Mohini, what do we want to look back on? Watch the film above and find out more at www.facingthemountain.com.